Shades make for a fresh-looking companion to drapes. Roman shades offer a second layer of color or pattern. 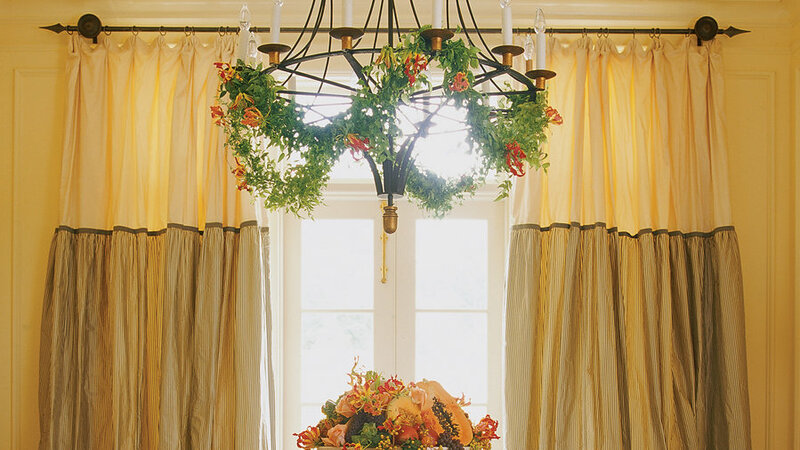 With any drapes, hanging the rod higher than the top of the window makes for longer drapery, creating additional height in the room. This room's most striking feature is the window treatments, which run along three walls and extend all the way to the floor. 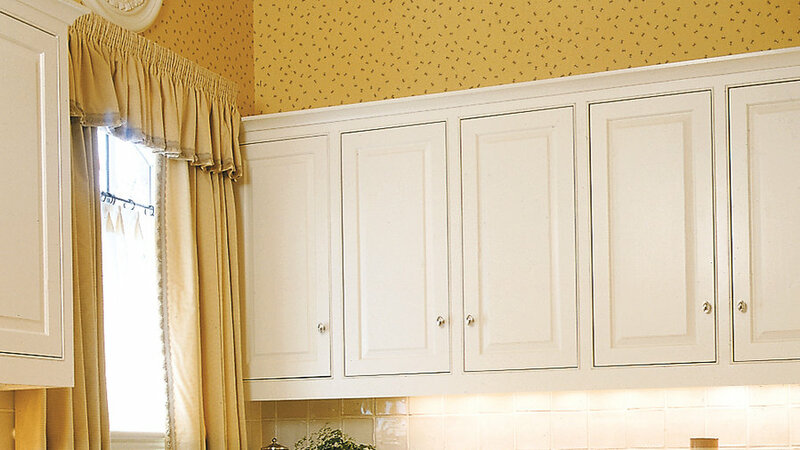 Hung from a continuous iron rail, the sunny, yellow-checked drapery is an inventive cross between café curtains and wainscoting. Not only does it make for a unique look, but the horizontality of this treatment balances out the height of the room. A loose roman shade makes these French doors feel more window-like and adds another note of softness to the cozily upholstered room. Café curtains aren't the only way to leave the upper reaches of windows open; blinds—such as these in bamboo—can also be hung lower in the frame. This works best with blinds that have a plain upper edge rather than a flap or valence built in. Roman shades come in a variety of styles and can be fashioned from any fabric to complement any room. Here basic roman shades help maintain the sleek lines of a chic, modern bedroom. 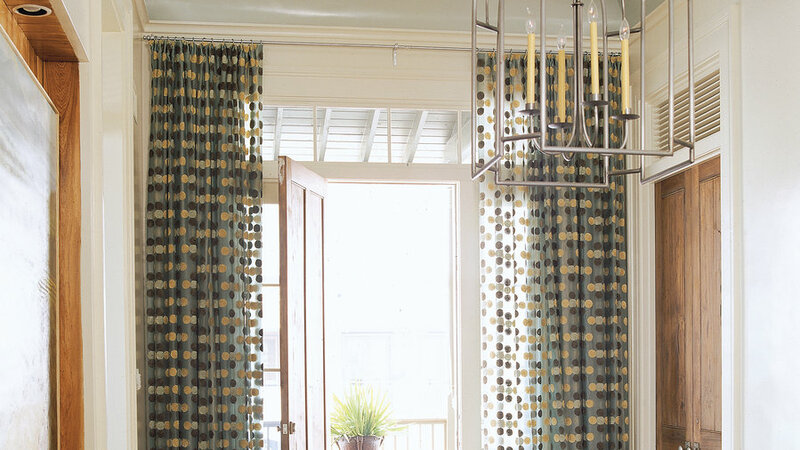 Floor-to-ceiling sheers, patterned with chenille dots, filter the sunlight ; the light, in turn, makes an art piece of the drapes. 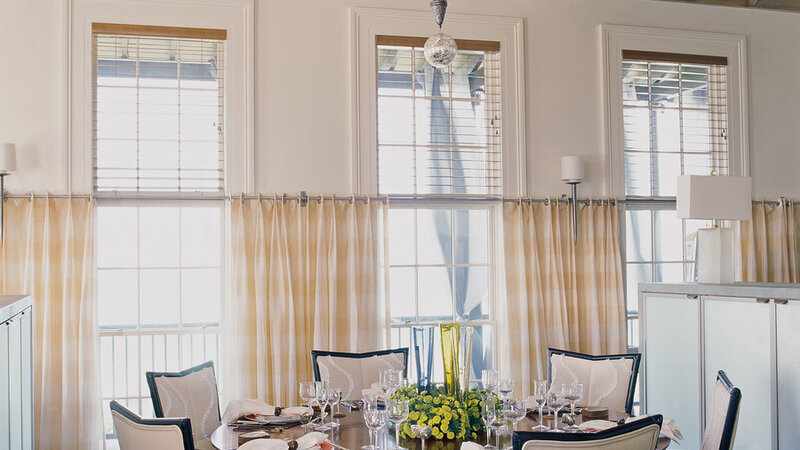 The dining room's focal point is not the chandelier, as is often the case, but the window treatment. 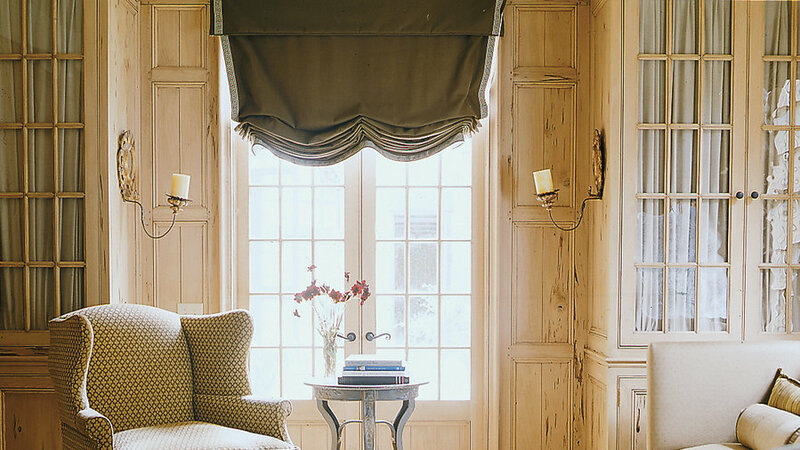 Ivory over a charcoal stripe, with a charcoal ribbon dividing the two, the curtains are so heavily gathered that they resemble a billowing gown. 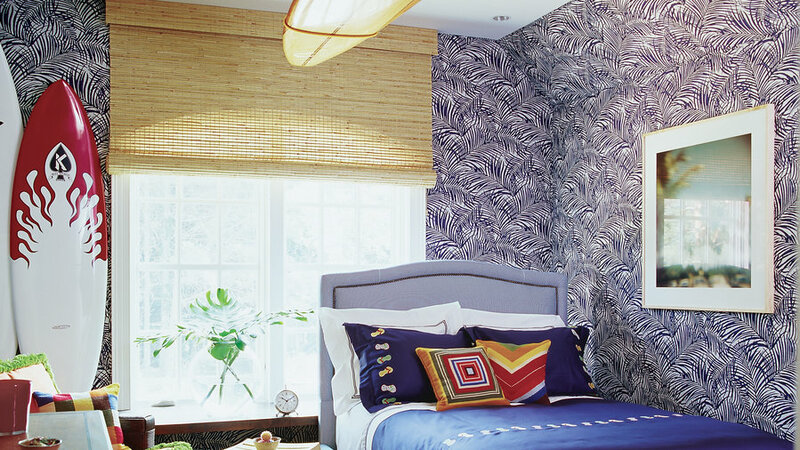 Bamboo blinds are paired perfectly with a palm print in marine blue in this boy's room. Bamboo blinds provide texture to any room and allow for the greatest control of light and privacy. Café curtains are a good solution where full-length curtains are either impossible or impractical, or where the upper part of the window—and the view—are especially appealing. This extra-short version consists of a single panel of fabric, with the rod threaded through a series of grommets. This little girl's room is decorated the way little girls like to dress—in a riot of colors and patterns. The polka dot valence has a beaded fringe detail, and the café curtains feature pinks, greens, and yellows in a fun floral print. 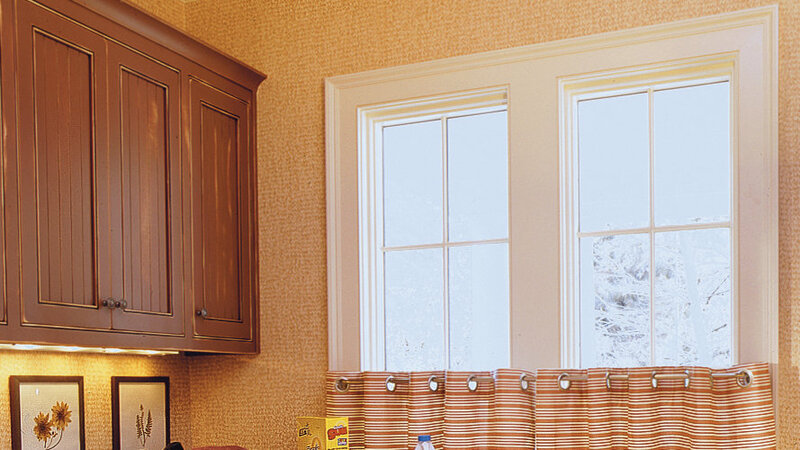 Classic window-length curtains, with a ruffled valance, are perfectly suited to this sunny laundry room. The combination makes the room feel as if it's straight out of the 1950s.